2009 Admitted into the Medical Profession by Provincial Council of the Physicians in the province of Ragusa (24/03/2009- Italy) after: “State Qualifying Certification Examination to practice Medicine and Surgery”(10/02/2009). 2014 Admitted into the Medical Profession by Council of the Physicians in Loire/Saint Etienne (Nov. 2014 – France). More than 3000 surgeries performed as First Operator in Orthopedic and Traumatology. More than 6000 surgeries performed as Second Operator in Orthopedic and Traumatology. More than 7000 surgeries performed in Orthopedic and Traumatology. Associate member of the Italian Society of Orthopedic Surgery and Traumatology SIOT. Associate member of the French Society of Arthroscopy SFA. 11/2012 – 04/2013 Resident in the shoulder surgery center of excellence at Clinique Saint Jean in Montpellier (Dr. TEISSIER J. – France). 2008 Professor Russo T. C. (Modica) : spine surgery. 2008 Doctor Fichera F. (Modica) : lower limb surgery. 2009 Professor Sessa G. (Catania) : hip surgery. 2009 Professor Avondo S. (Catania) : Knee surgery..
2010 Doctor Bruno G. (Catania) : upper limb and trauma surgery. 2010 Doctor Raffa A. (Catania) : trauma surgery. 2011 Doctor Privitera M.(Catania) : spine and trauma surgery. 2011 Doctor Condorelli G. (Catania) : shoulder and knee surgery. 2011 Doctor Caruso F. (Catania): shoulder and trauma surgery. 2011 Professor Farizon F. (Saint Etienne) : hip, knee and ankle surgery. 2011 Doctor Gresta G. (St Etienne) : upper limb and trauma surgery. 2011 Professor Philippot R. (St Etienne): hip, knee, ankle and foot surgery. 2012 Doctor Boyer B. (St Etienne) : hip and knee surgery. 2012 Doctor Ballas R.(St Etienne) : upper limb and trauma surgery. 2012 Doctor Schneider L. (St Etienne) : trauma surgery. 2012 Doctor Teissier J. (Montpellier) : upper limb and trauma surgery. 2013 Professor Bonnel F. (Montpellier): hip, knee, ankle and foot surgery. 2013 Doctor Benzid M. (Montpellier) : trauma surgery. 2013 Doctor Auteroche P. (Montpellier) : hip, knee and foot surgery. 2014 Doctor Teissier J. (Montpellier) : upper limb and trauma surgery. 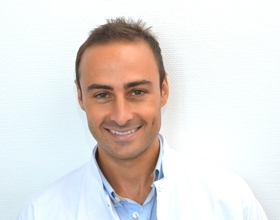 2014 Doctor Lacaze F. (Montpellier) : hip, knee, ankle and foot surgery. 2014 Doctor Benichou M. (Montpellier) : ankle and foot surgery. 2015 Doctor Falaise C. (Saint Chamond) : upper limb and trauma surgery. 2015 Doctor Hamache S. (Saint Chamond) : hip and knee surgery. 2015 Professor Farizon F. (Saint Etienne) : hip, knee, ankle and foot surgery. 2015 Doctor Gresta G. (St Etienne) : upper limb and trauma surgery. 2015 Professor Philippot R. (St Etienne): hip, knee, ankle and foot surgery. 2015 Doctor Metais P. (Clermond Ferrand) : shoulder surgery. (1 surgical day). 2015 Doctor Garret J. (Lyon) : shoulder surgery. (1 surgical day). 2015 Doctor Levigne C. (Lyon) : shoulder surgery. (1 surgical day). 2015 Doctor Godeneche A. (Lyon) : shoulder surgery. (1 surgical day). 2015 Doctor Walch G. (Lyon) : shoulder surgery. (1 surgical day). 2015 Doctor Bonnevialle N. (Toulouse) : shoulder surgery. (1 surgical day). 2015 Professor Mansat P. (Toulouse): shoulder surgery. (1 surgical day). 2015 Doctor Kany J. (Toulouse) : shoulder surgery. (1 surgical day). 2015 Doctor Nove Josserand L. (Lyon) : shoulder surgery. (1 surgical day). 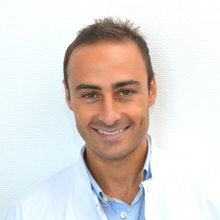 2015 Doctor Charvet Rémi (Grenoble) : shoulder surgery. (1 surgical day). 2016 Doctor Jerome Vogel (Lyon) : shoulder surgery. (1 surgical day). 2016 Professor Farizon F. (Saint Etienne) : hip, knee, ankle and foot surgery. 2016 Doctor Kany J. (Toulouse) : shoulder surgery. (1 surgical day). 2016 Doctor Bonin N. (Lyon): hip surgery. (1 surgical day). 2017 Professor Farizon F. (Saint Etienne) : : hip, knee, ankle and foot surgery. 2017 Doctor Jerome Vogel (Lyon) : shoulder surgery. (2 surgical days). 2017 Doctor Sonnery-Cottet (Lyon): Knee surgery. (1 surgical day). 2017 Doctor Bonin N. (Lyon): hip surgery. (1 surgical day).